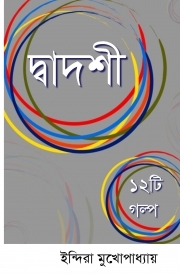 From tales of traditional families with dark secrets to stories in which the internet and social media play a central role in the lives of the protagonists, these twelve short stories in Bengali reflect the changing milieu of an India that is changing rapidly. Born in Calcutta, Indira Mukerjee did her M.Sc. in Chemistry from Rajabazar Science College and has been writing in various web magazines since 2008. Her first collection of poems was published in 2009 and her short story was published in Desh in 2011. Many of her poems, short stories and travelogues have been published in Udita, Ebela, Prathama, Anandabazar and the Daily Statesman. She writes a blog, www.sonartoree.com and publishes Papyrus, a web magazine, twice a year.